After reading the first book in the Shardlake Series by CJ Sansom, I was hooked and had to read the rest of them. 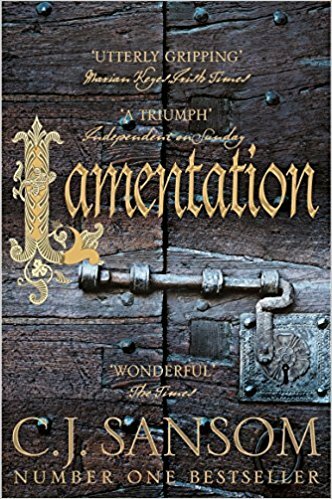 Lamentation sees Shardlake (the main character) meeting Catherine Parr and working with her on a secret mission. CJ Sansom gives readers an insight into the Tudor court with all the secrets and conspiracies that made the royals a complex bunch of people. Along with Shardlake, us readers race across medieval London smelling the foul stench of the backstreets and are in awe of luxury of the royal palaces. Shocking things happen to our favourite characters but I am keeping 'Mum' about that.